Tuned Global's CEO shared his opinion about music streaming in Indonesia and how it can help local brands to connect with their consumer, to better know them and ultimately to engage with them when it is well integrated in their marketing strategy. The Indonesian version of this opinion article were initially published in Lipuatna6.com. In today’s on-demand world, where everyone has access to information 24/7 via their smartphones, driving customer engagement means having the ability to quickly respond to consumers’ needs and wants through their mobile phones. Traditional marketing models have flipped to focus on creating a memorable experience that puts customers in control. With music being one of the top 3 activities for Indonesians on their mobile phones, according to Jakpat, Indonesia is one of the fastest growing countries in Asia for streaming music. I see this as a great opportunity for local brands to engage with their customers whilst using a medium that they love. Throughout the years, I have seen how music plays a significant role in creating a long-lasting spark between consumers and brands. I really believe that nowadays, music streaming can turn sceptical buyers into strong and loyal brand followers, acting as an activator that connects brands with Millennials, whilst understanding who they are, where they go, what they do, and what they like. When customers are delighted with the digital experience that brands deliver, they are more likely to share their personal information. To glean this valuable data, marketers must focus on building brand trust and delivering relevant added value to consumers, according to a study by Columbia Business School and Aimia. 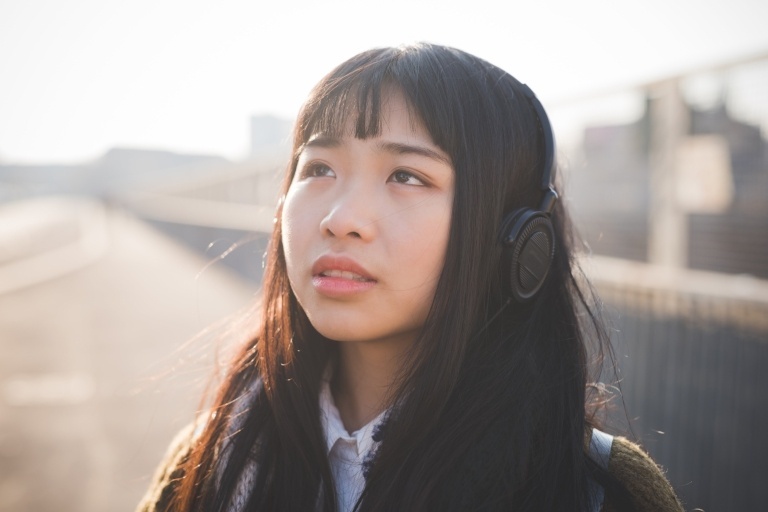 But how exactly does music streaming capture the most coveted Indonesian Millennial market, and how can it be used by marketers to deliver the right message to their audience? First, let’s take a look at the environment where this young generation works and plays. “80% of Indonesians change their minds after consulting their smartphones.” I was struck by this mind-opening statement by Google Asia’s Research Manager, Market Insights, back in 2016. Mobile phones have become an essential part of their lives, shaping how they communicate with everyone from friends and family to colleagues and customers. In their report, Jakpat has found that the mobile phone ranks in third place of life’s essentials, after food and water and surprisingly, surpassing clothing. But what do they do on their mobile all day long? 83.4% are using social media, 75.7% are chatting and 54.5% are listening to music. Making phone calls came in only at fourth position! Thanks to mobile trends and new app innovation, Indonesian Millennials have become a social-media minded generation. They are constantly checking into cafes on Facebook, tagging the bars they visit with mates on Instagram, ordering GoJek, booking into Airbnb and even looking for potential dates nearby on Tinder. Brand experience and online shopping are evolving into a “mobile-centric” space where contextual data (like location) is being combined with a user’s personal information (like listening history) to provide a more intimate mobile experience. The mobility and accessibility of smartphones make them the most powerful communication channel of all. They offer the chance to data mine real-time insights based on a consumer’s location and mobile behaviour. With the rise of smartphone usage comes the challenge for brands to engage Millennials, whose attention is constantly fragmented by booming apps and mobile content. Music has become the new religion for this young generation, and I believe this to be the most powerful content to capture Millennials via mobile. In a report published by Momentum Worldwide, “90% of Millennials claim that music helps them to escape to someplace that helps them transcend and make moments better” and “80% claim that music makes them feel more confident”. Music also triggers memories of messages and experiences. Scientists at UC Davis, Live Science reported, used brain scans to show how music and recall are intrinsically linked. When we think about key moments in our lives, there's a high likelihood we'll remember a song along with the memory, or the song will trigger memories of an event. Music also helps to increase brand recall, which empowers brand trust, personality and awareness. Many Indonesians that I speak with still remember local brand advertising jingles, such as “Susu saya, susu bendera” by Frisian Flag, or the legendary “Indomie Seleraku” by Indofood, even though these ads have not been running for many years! . These jingles created a deep relationship between them and the brands. Nowadays, many brands also follow the same advertising concept involving music, such as Djarum Coklat with Nugie or JD.ID “Kena Tipu”, and Tokopedia “Rayakan Kebebasan” with Iwa K.
Music, like fashion, is deeply subjective and is a reflection of not only an individual’s tastes but also of his or her lifestyle. Just as people express themselves through music, brands can express themselves through the medium of music as well; and in doing so, can create the ultimate personalised digital brand experience for consumers. For example, fashion giant H&M engaged shoppers through a customisable music mixer installed in its mobile catalogue. Consumers in Hong Kong, Singapore, China and Malaysia could create personalised playlists and listen to their favourite tunes while browsing through the latest H&M catalogue. To make the platform even more creative, an in-store component, using iPad interaction, pairs a distinctive musical style with different fashion items. In addition, customers are also encouraged to share H&M playlist tunes on social media, with prizes and contests thrown into the mix as an added inducement. I strongly believe that, by being closely associated with music, brands can connect deeper with their audience. Incidentally, thanks to streaming, music is now primarily a mobile experience and hence, provides an opportunity for brands to be a part of the Millennials’ day-to-day mobile routine. Creating engaging moments to influence a consumer’s perception of a brand and turn shoppers into customers is the goal of every brand marketer. But to do this, it is crucial for brands to understand what consumers want, when they want it and where they want it. My view is that music streaming is a ‘honeypot’ that allows brands to glean that knowledge about their customers, without being intrusive. Indeed, music is a predominantly repeat content medium; unlike movies, newspapers or TV shows that you generally only watch once. When they find music that they like, people repeatedly listen to it over and over again, which tells you more about their preferences. Also, what someone plays often shows us more about them right now: are they in an activity (sport, working, relaxing, commuting, partying) or in a certain mood (happy, sad, bittersweet, flirty)? Tailoring brand messages to the consumer’s current mental state is actually what people prefer. Some music streaming apps offer brands the opportunity to sponsor a music mix in order to capture a niche target audience according to a particular genre, taste or moment. Adidas, for instance, could brand a hip-hop mix to promote its new line of high top shoes to Indonesian audiences. But just imagine also being able to leverage geo-fence promotions and beacon technology on top of that, to enable you to push a 30% discount when a user is in close proximity to an Adidas retail store. A young Indonesian man getting a sweet deal for his new sneakers, whilst listening to his favourite hip-hop tunes, sounds like a match made in retail heaven, and that’s how the magical brand-consumer moment happens. Speaking of conversion, in a case study that we did in 2016 Q2 using clickable audio advertising and a branded music mix with a brand partner, we saw up to a 13% Click Through Rate (CTR). This is significantly higher than digital rich banner CTR performances, which usually sit around 1% - 1.5%. I believe this good performance was essentially due to the fact that we promoted the product to the right buyer personas. Given that, I think it was proven that audio advertising combined with music streaming can be very effective, and deliver far greater performance and conversion than regular digital banners. In Indonesia I believe that music is the pillar on which brands can build highly valuable marketing personas via various engagement methods and business intelligence. Allowing these consumer brands to go one step further in providing narrowcast communication methods to their consumers will not only produce great revenue for the brand and the artists, but will also ensure that the consumer is happy, and getting relevant messaging that they appreciate. Is it achievable? I definitely think so! As advertising becomes even more competitive and sophisticated, it’s crucial for brands to find innovative ways to engage with customers. This entails providing a personalised experience that customers can relate to on an emotional level — and music can provide that experience. According to Forbes, Millennials are looking for brands to create an authentic experience in order to build trust. And the fastest way to build trust with Millennials is through music because it speaks to them on a deeper level and it is the ‘soundtrack of their lives’. Savvy marketers are now investing heavily in mobile strategies, and mobile ad revenues in Indonesia alone are targeted to quadruple from US$ 6 million in 2013 to US$ 24 million in 2018. It seems that most marketers have traditionally chosen to focus on what people see with their eyes, and not what they hear, although this is starting to change. Multiple studies have concluded that we currently live in a generation where music can cut through the clutter of the mind and get through to people in a way that regular marketing just can’t do, and those at the forefront are taking advantage of this. In our quick changing world, I think there is one thing that has remained remarkably consistent — the power of music. Music has always been a powerful way of connecting with those around us, which has made it a powerful engagement tool for brands over the years. Traditional methods of using music as a means of engagement have always been complicated, costly and most of the time it is difficult to measure the performance of the campaign. Unfortunately, this has discouraged many marketers from using music in their customer engagement strategy. Some time ago, I met with a telco that had some difficulties retaining its hype after they launched a series of large-scale music concerts, accompanied with high budget Above The Line (ATL) campaign. After the music event finished, there was almost no one mentioning the telco brand again; no word of mouth, and social media mentions plummeted. Their management felt that the campaign was not generating enough post-mortem traction. I believe that if there were a vessel to contain the audience before, during, and after the event, they would have more time to bind with their customers, engaging with them and raising more awareness of their products. This was the beginning of an idea for a new feature that has since been integrated into one of our streaming services. Realising that brands needed a platform to accompany their high-budget campaigns and help them build up their audience, we developed Brand Channels as a hub for brands to provide a space to communicate deeper into the music audience. This dedicated channel in a mobile music streaming app helps brands to maintain a good level of engagement and provide the opportunity to reconnect with their captive audience. Few music streaming platforms currently allow Indonesian marketers to integrate music into their content marketing strategy easily, or for a reasonable price, and without worrying about music licensing. But by focusing on providing brands with the opportunity to build campaigns promoting their products, and later measure the direct impact on engagement rate, or even conversion and sales after the campaign has finished, this can be a game-changer for both brands and marketers. I believe this is the direction of mobile marketing.